Proper coachbuilt cars in the great British tradition, with sharp-edged aluminium bodies on an ash frame, mounted to a steel chassis. The 1800s use a Triumph four-cylinder engine and four-speed gearbox (column-change, as all versions would be) and transverse leaf front suspension. The 2000 was only produced during 1949 and had switched to the Standard 2088cc engine and three-speed gearbox. 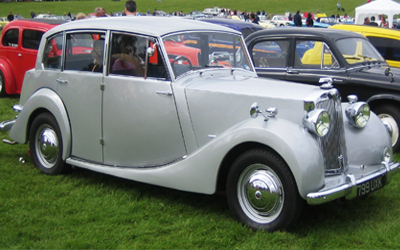 The Renown saw the same body mounted on a lengthened Standard Vanguard chassis, complete with its coil spring front suspension. From 1952 this was lengthened by three inches.